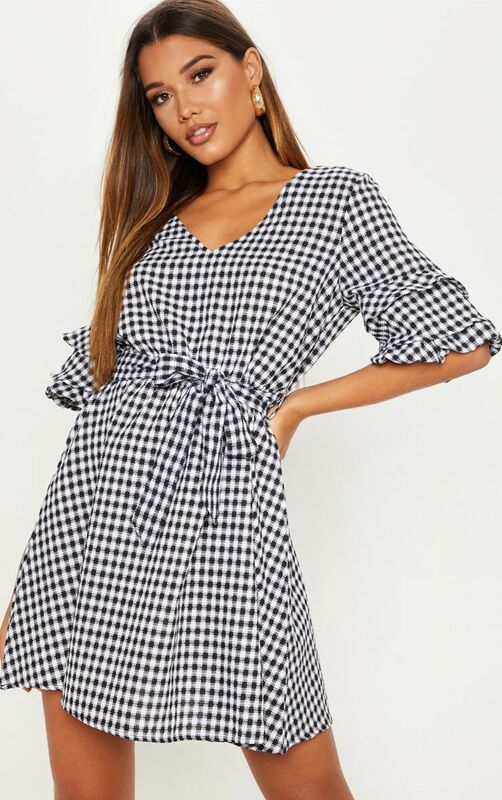 Girl we are loving this cute tea dress. 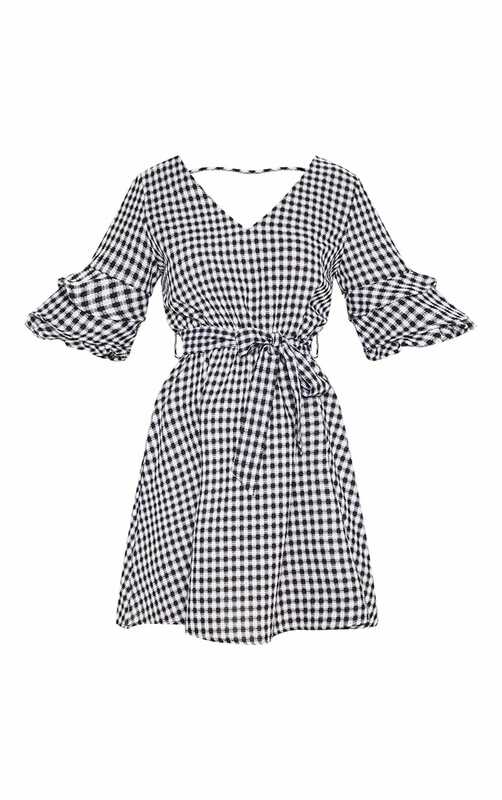 Featuring a black gingham material with a frill detailing and a cinching tie waist belt. 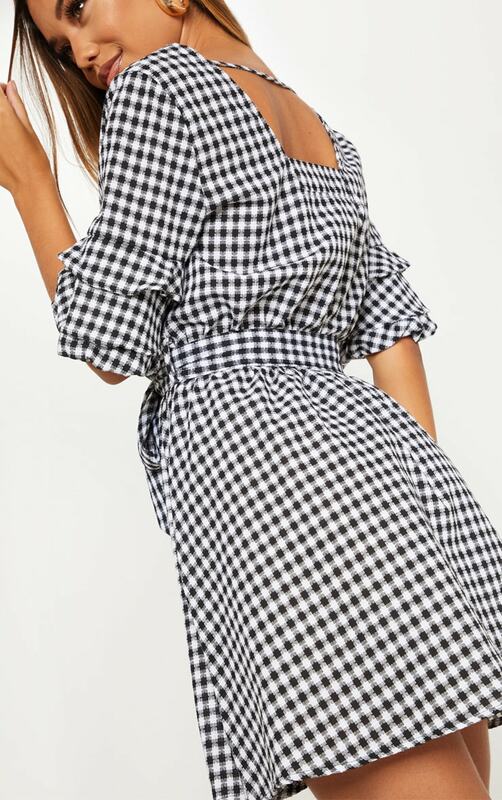 Team this dress with ankle boots and a little bag for an off-duty look we are crushin' on.